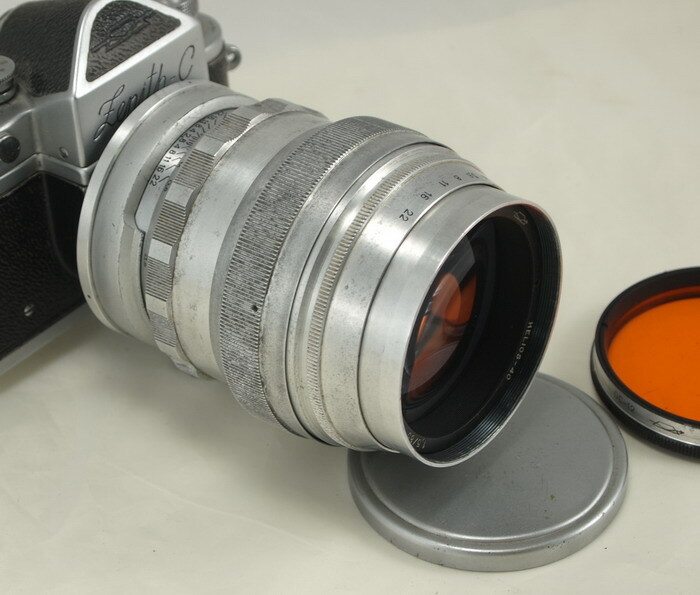 Russian Jupiter-6 lens for SLR cameras, 39mm mount. 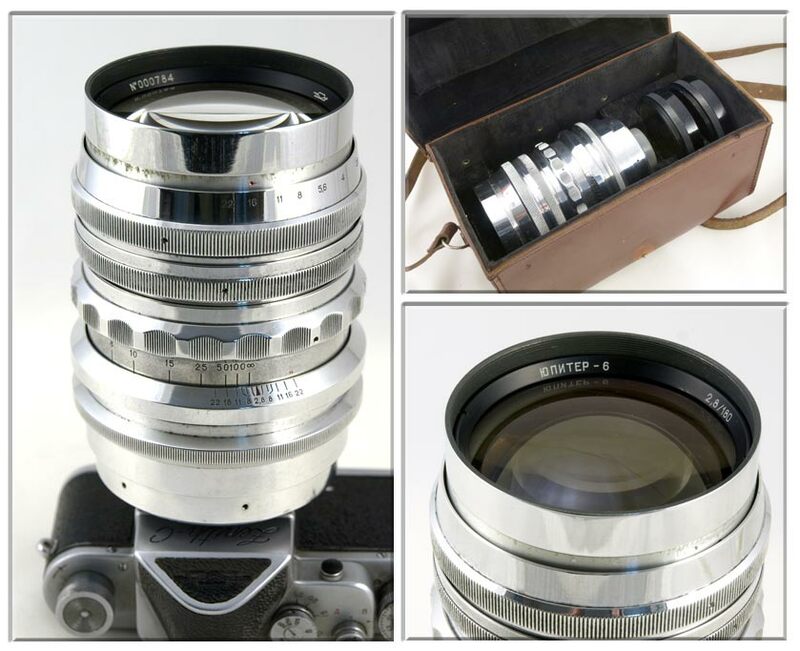 The Jupiter-6 is one of the most desirable Soviet made lenses, a fascinating fast telephoto lens in 39mm mount. The glass is coated, the barrel has a polished aluminum finish. This Jupiter-6 is in GOOD+ condition. The barrel finish shows its age and there are visible cleaning marks on the front element. Though these light scratches do not look attractive, the lens will produce sharp images under most lighting conditions. The focusing and aperture mechanics are smooth. The lens comes with both caps and two filters, all packed in a sturdy leather case. The Jupiter-6 is relatively uncommon. A few thousand were made in the 1960's and 1970's. It was later replaced with a black Jupiter-6-2 in M42 mount. 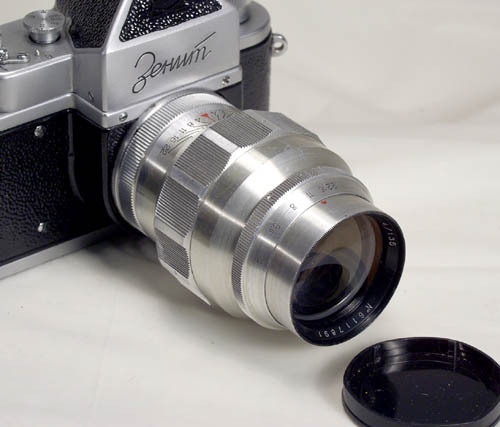 The lens is shown mounted on a Zenit-S (not included).